Eyes of the Heart by Christine Valters Painter explores photography as a spiritual practice from a Christian perspective. 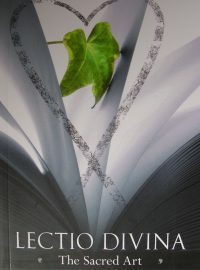 Christine Valters Painter builds on the process of contemplative creativity in her book The Artist’s Rule (also available from the community bookshop) by adapting the monastic practice of lectio divina (sacred reading) into a form of visio divina (sacred seeing). 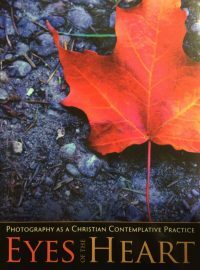 A spiritual director and Benedictine oblate, she guides readers through a new way of spiritual observation – through the lens of a camera – and in receiving images, not simply taking them. She writes that, ‘My hope is that, in exploring the language of photography, you [develop] new portals into the your own experience and awareness of God. Shadow and light, framing, colour, reflections, and mirrors all offer us metaphors for ways of understanding how we might move towards seeing ourselves and God with the eyes of the heart.’ She invites us to use our cameras to help us to release our expectations of what we think we ought to see and learn to discover what is actually there. And then helps us to bring this kind of interaction into our everyday lives. 'Stand at the crossroads and look; ask for the ancient paths, ask where the good way is, and walk in it, and you will find rest for your souls.' Jeremiah 6:16 Most of us suffer from spiritual disorientation. Our souls are untended. And in this fragmented world, a soul left untended quickly loses direction. It forgets itself and becomes an insubstantial thing, disoriented and unavailable to the truth. And neither scientific secularism nor religious fundamentalism nor vague spiritualities have been able to offer any real answers. That's why a growing number of Christians are turning to early spiritual practices as a means of tending their souls. 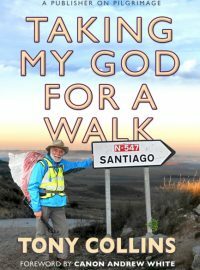 For centuries, believers have eagerly submitted to disciplines such as fixed-hour prayer, fasting, sacred meals, observing the Sabbath, or pilgrimage to create everyday sacredness, a spiritual rhythm for living within the well-worn grooves of a workaday life. 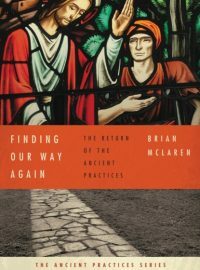 In Finding Our Way Again, Brian McLaren serves as guide to a wide variety of these disciplines, showing how they form character, awaken us to life, and help us to experience God, and each other, in new and fresh ways. Simplicity is not merely a matter of having less stress and more leisure. It is rather n essential spiritual discipline that we must practice for the health of the soul. Twenty-five years after it first appeared, this updated version of Richard Foster's classic work explores the foundation of this discipline, its fundamental importance int he Bible, and how it has been manifested and taught by God's saints throughout Christian history. 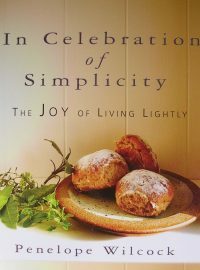 This beautiful, moving manifesto on incorporating simplicity into our hectic lives still rings true – and is even more needed today. In a culture enthralled with technology, striving and speed, people of many faith traditions and no faith tradition long to slow down, pay attention and wake up to the present moment. They want help in realising their hope that they can become more truly alive. 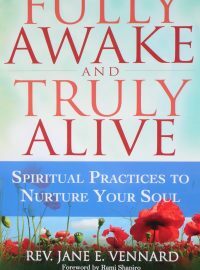 This engaging and highly readable book offers you guidance for the journey. Sharing stories from her personal life as a spiritual seeker and from her professional career as a retreat leader, spiritual director and teacher, Reverend Jane Vennard illustrates the joys and frustrations of spiritual practice, offers insights from various religious traditions, and provides step-by-step exercises and meditations to practice: caring for the body, rest, silence, solitude, letting go, community, hospitality, service and living gratefully. 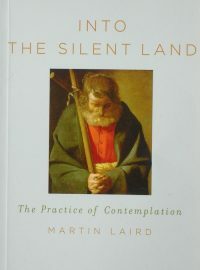 An introduction to contemplative prayer that draws on insights from the Eastern Orthodox tradition of the Jesus Prayer, from the Western Carmelite tradition, from poets and novelists and from the author's own experience as a retreat director and confessor. 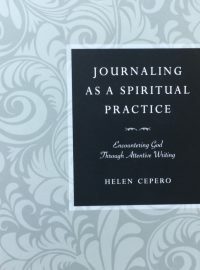 Whether you are a longtime journal keeper or someone who has never kept a journal at all, this book will help you to go below the surface of your life with God. It is not about the art of writing, but about how journaling can form us spiritually. Every chapter combines descriptive text, illustrations from journals and the author's own experience with journaling practices integrated along the way to help you bring your own life and world into sharper focus. God wants to surprise you with the beauty of your own life, growing and alive, filled with movement, light and shadow. This is the book to do just that. Landmarks help us to find ourselves when we think we are lost. When we don't know where to begin, they give us a starting point. When we thing we know where we are, they give us the confidence to keep going. And if we think we have arrived, they remind us that there is always something more, somewhere beyond... 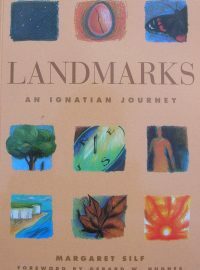 This is a book of landmarks to the heart's journey. 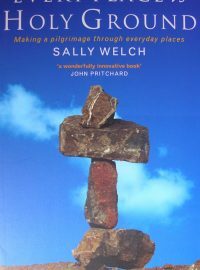 Written out of the author's own prayer and lived experience, and inspired but her practical explorations of the insights of St Ignatius Loyola, it opens up questions which concern us all. How can we recognise God's ceaseless action in our lives and begin to discern His will? What does 'fallenness' mean for us today? 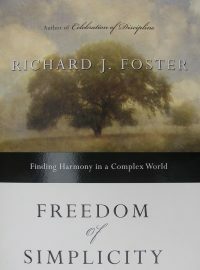 How can we live true to ourselves and make decisions in freedom? How do we penetrate our deepest desires and become free of the lesser attachments that obstruct them? Big questions - but as Margaret Silf shows, there are clues to be discovered in every moment and situation: at home, at work, in the garden, in the market, in the bath! Landmarks will help us discover and deepen our own individual journeys. 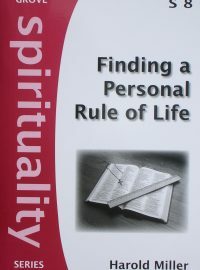 Written for both groups and individuals, it is illustrated with drawings and diagrams, and contains exercises and suggestions for prayer and reflection. Be warned, however. Landmarks are not for armchair pilgrims. They are for the People of the Way. 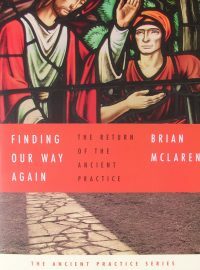 Drawing on there own experience as a monk in the world, Christine Valters Paintner breaks open the movements of the ancient contemplative practice of lectio divina for the contemporary reader. 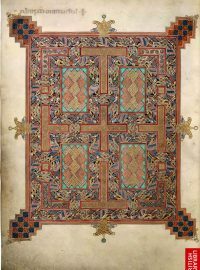 Wise and accessible, this volume will be valued by those who long for a more pervasive experience of the holy in the everyday, but live far away from the sanctuary of a monastery.